Buying and eating real food is a challenge for low-income families like mine; for people who struggle to make ends meet, food isn’t always a priority. Yet I get this sick sense of satisfaction whenever I am able to put before my family a meal made up of real and local foods. Food is just one of the many ways we show that we care, and when I am able to provide a meal that is both nutritious and delicious I feel really good about that. Real food has been a long journey for me, and-honestly─it’s been something of a challenge. Accessing real food has been hard financially, but then knowing how best to prepare those foods was it’s own hurdle. The types of food I prepare now are much different from those I made when I first began cooking 18 years ago; and so different from what I was raised on that I can’t help but marvel at the real-food journey I’ve undertaken to come to where I am today. 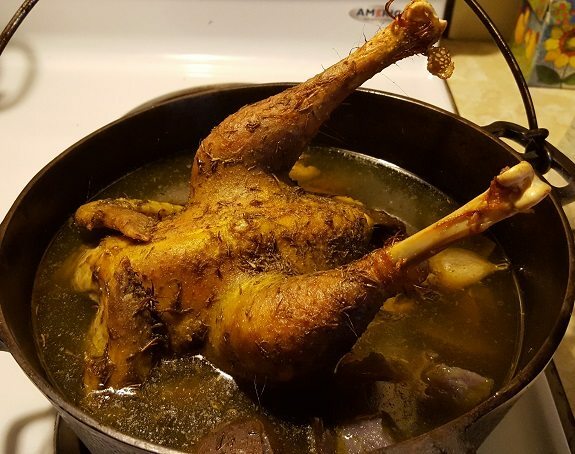 The product of one of rural central Maine’s low-income families, I was raised like so many others on a diet that consisted primarily of processed foods and a meat-and-potatoes mentality. Like so many other families living in poverty, living paycheck to paycheck and working to make ends meet, my family received food stamps and medicaid. We shopped once a month, making the trek regularly to Caswell’s in Waterville to load 2 carts with discounted foods: cereals, snack foods, cheeses, canned goods, and enough meats to last the month. Then we went across town to the discount bread store and filled another cart with bread, english muffins, and breakfast pastries. We were a family of 5 and it took a lot of food to sustain us for a whole month. As I’ve grown older, and especially since I became a mom, food and how I feed my family have become increasingly important to me. Over the years, I’ve learned more and more about the health issues that stem from a diet of processed food: chronic diseases like heart disease, diabetes, obesity, allergies and asthma can all be linked to what we eat. I’ve learned too about the environmental impacts our food system has on the world around us and how industrialized agriculture is hugely dependent on fossil fuels, which contributes approximately one-third of all greenhouse gas emissions. Gradually over time it’s become a personal mission of mine to make real and local foods a priority for my family, even on a low-income budget. How we produce and consume food has a bigger impact on American’s well being than any other human activity. The food industry is the largest sector of our economy; food touches everything from our health to the environment, climate change, economic inequality, and the federal budget. (Pollan via the Washington Post). Processed food is typically mass produced; it’s food that’s the same from one batch to the next and from one country to another. Processed foods remain emulsified on the shelf─the fats and water in those foods don’t separate because they’ve been engineered not to, and they tend to have long shelf or freezer lives thanks to the various preservatives added to them. These kinds of foods generally have too little fiber, Omega 3 fatty acids, and micronutrients, while at the same time possessing too much in the way of trans-fats, additives, emulsifiers, and too much salt and sugar. Our current food system was designed with the intention of feeding millions of people around the world cheaply─providing food security and making sure that we can all afford the most basic of needs. However, the design has had unintended consequences with dramatic long-term costs. Highly processed foods may indeed be cheaper and more convenient, but they’re also more craveable and addictive. Studies show that today two-thirds of American adults are overweight or obese, and that obesity rates in children has tripled in the last 3 decades. For more info regarding our broken food system and how you can vote with your fork to make a difference! A lot has changed since I was a child. Most people today are─at the very least─ aware of the dangers of processed foods, and they’re aware of the benefits of buying locally produced vegetables, meats, and other foods. Some things, however, have not changed, such as the fact that rural central Maine is still a region of the state where many families continue to live below the federal poverty level, as well as the fact that 30 years later, I myself am still counted among low-income families. How can low-income households like mine hope to feed their families real and local food when they’re struggling to pay the bills each month? How can I feed my children a diet that will lead them to lead long healthy lives when I’m struggling to keep my bank account in the green? And what is real food anyway? Real food is simply the ingredients used to make food! Photo courtesy Sidehill Farm; Madison, Maine. Real food is simply food that has not been processed. Vegetables, fruits, grains, legumes, and meat. They are the ingredients that you use to make food. Believe it or not, I’ve managed to move toward a diet increasingly made up of real and local foods even on my low-income budget, and if I can do it I’m confident that other families can do it too. There’s no denying that it’s more expensive. Cutting out processed foods can be pricey because grass-fed beef and fresh produce from the local farmers’ markets cost more. That’s the real cost of food. Thanks to our subsidized agricultural crops like corn and soy, Americans spend less on food than any other nation, and that’s not a good thing because the cost of that savings has been at the expense of our health and our environment. If we accept the true cost of food, and if we’re willing to prioritize real food in our lives, then we can change our eating habits for the better. Fourteen years ago, I became a mom for the first time. Since then my diet has been a gradual progression from that meat-and-potatoes mentality and a diet that was heavy in processed foods, to a dedication to a life of real and local foods that has even turned me to farming and advocating for local foods and agriculture. I’m feeding my family real and local foods even on a reduced income, without the benefit of SNAP funds. If I can do it, you can do it too. #1 Limit processed foods: We don’t buy much pasta anymore, nor do we buy snack-foods like crackers, cookies, or chips; Instead, we buy fruit when it’s on sale or in season. If my boys need a snack, it’s fruit, a carrot or a stick of celery. I figure if they’re not hungry enough for an apple then they’re not really hungry at all and just looking to munch. We avoid buying donuts, pastries, frozen dinners or even cereals anymore. Anything with a long list of ingredients on it’s label is out, especially if I can’t even pronounce it. And yes, I look at labels. #2 Buy real ingredients: Sticking to the outskirts of the grocery store helps me to avoid the temptation to buy processed foods. We purchase fruits and vegetables that are on sale, with the exception of carrots, potatoes, onions, celery and garlic, which are staples in my pantry as they form the base of so many meals. Sometimes I’ll buy frozen vegetables too. We buy milk and butter at the grocery store, but rarely cheese and yogurt or other dairy products, because they’re just too expensive for the budget right now. #3 Commitment to cooking: There’s no denying that making meals with real food takes a little more time out of the day and requires a commitment to cooking and working with food that you might not otherwise have. However, with that commitment to cooking, you’re fostering love and community within your family, and participating in a relationship with the world around you in direct support of yourself, in support of your family, and in support of the greater community. That sense of love and community is something that industry just can’t give us. The cook stands in a very interesting relationship with the world. On one side he looks toward people and community, family─giving this incredible gift of love which is the meal. But on the other side, you’re looking to nature, working with plants and animals. And you reconnect to the fact that the industry doesn’t feed us. Nature does. Gardening allows me to produce quite a lot of my own vegetables to feed my family. This has been the key to my Real Food Challenge and has opened so many doors for me over the last 20 years. #4 Do-it-yourself: Over the years, I’ve learned an increasing number of skills to aid in my mission to feed my family real and local food. There are many types of food that I no longer need the industry to make for me; I’ve learned to do it myself, and the result is food that is less processed, lower in sugar and salt, containing no preservatives or alien ingredients, and is fresher and healthier for my family. We haven’t completely eliminated the grocery store from our lives, but I’m able to produce enough vegetables to last three-quarters of the year. I haven’t bought eggs in years because I raise my own chickens, which then become stew later in life. I can make my own salad dressings, ketchup, bread, muffins, and cookies among other things. Every bit of processed food I am able to avoid feeding myself and my family garners us all just a little healthier life, and reaffirms my commitment to my role in my relationship with nature. Take a look at this post I wrote about baking to stretch my food budget! Buy fresh local foods in-season at the local farmers’ market. Many now accept EBT from SNAP shoppers. 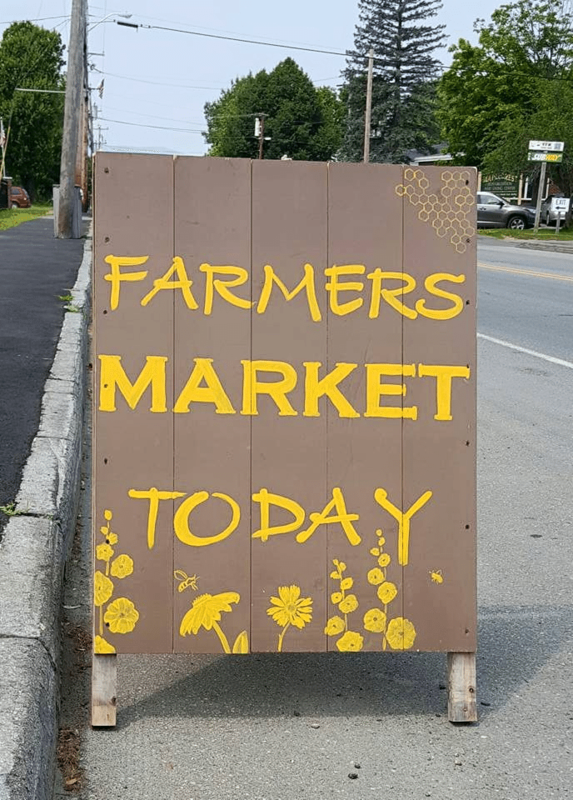 #5 Shop local: Many of Maine’s local farmers’ markets are now accepting SNAP/EBT and participate in the Maine Harvest Bucks program, which offers bonus bucks on fruits and veggies at the market. Personally I don’t qualify for SNAP benefits anymore, but for households relying on that assistance, this program makes it possible for low-income families to be able to access locally produced foods. Even on my reduced income I am able to purchase fresh vegetables in-season from local farmers; most often the pricing is comparable to the grocery store and the quality is superior. Meat has been harder to afford at-market, but the grass-fed meats are so superior to what’s available at the grocery store, with the added bonus that the animals that produced that meat lived the life they were meant to live: on pasture with plenty of space and fresh air. Sticking to the cheaper cuts like ground beef and stew meat, and only occasionally splurging on roasts and steaks allows me to buy meat at the farmers’ market. #6 Eat less meat: Studies show that consuming meat can lead to some serious health risks; producing meat also consumes more fossil fuels and contributes one-fifth of the world’s greenhouse gas emissions. Leaving behind that meat-and-potatoes mentality in favor of an increasingly plant-based diet has been the hardest part of my real food mission. It’s such a change from the attitude I was raised with that it was difficult at first to wrap my head around it─and getting the rest of my family on board was yet another hurdle. But slowly, over time I’ve reduced the amount of meat we eat. 2-3 times a week I add meat to a meal; often meat is added in smaller quantities and mixed in with a larger dish (as in stew or a casserole or stir-fry). Roasts, steaks and entrees featuring meat are reserved for special occasions. This allows me to stretch my budget so that we can afford locally produced and grass-fed meats. 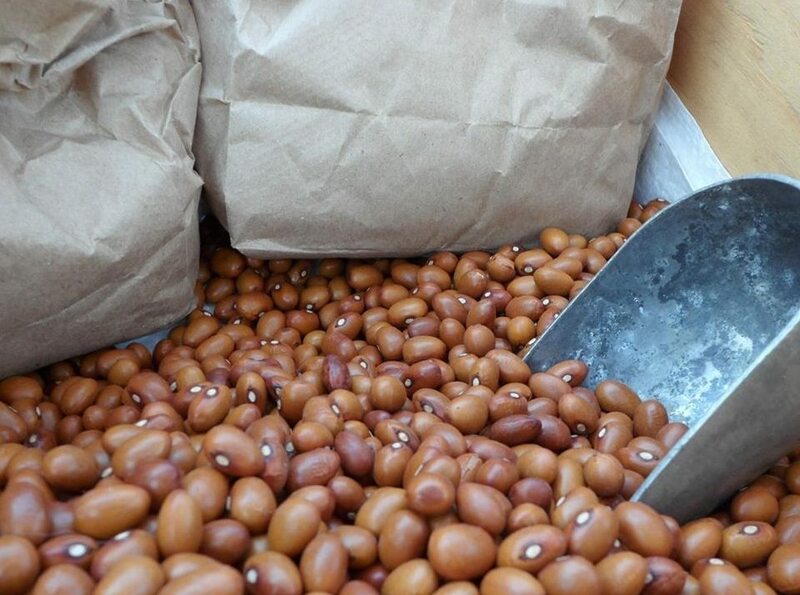 Dry beans are an affordable protein source and so versatile! If you’re not accustomed to eating beans and other legumes, it might take some time for your family to get used to eating them. I’ve found that persistence pays. #7 Eat more grains and legumes: To supplement the protein source in meals, we’ve been experimenting more with different grains, dry beans and other legumes. Dry beans and lentils are inexpensive and especially versatile. With the internet I can find recipes that even my picky-eater will accept. #8 Prioritize real and local food: Cutting processed foods from our lives can be expensive because grass-fed meats and fresh produce from farmers’ markets cost more. Real food costs more because it’s worth more. I’ve become very careful about where and how I spend my money; real food is important to me, so I’m willing to make sacrifices in order to eat this way. It all boils down to priorities. Changing the habits and ideas we were raised with takes time; it’s a journey─a progression─and some days you might fall off the wagon. I admit I still have cravings for foods from yesteryear; once in a while I want a frozen pizza, or pork chops which are not available conveniently to me at the local farmers’ market so I buy them at Hannaford’s. I have an addiction to sugar and carbs and, like a recovering alcoholic, I count the days I’ve lived without consuming a Little Debbie Nutty Bar. However, I try not to beat myself up too much because I know full well that my real food mission is a journey and I’ve come a long way from where I started. My real food challenge is not about any particular diet; it’s about consuming less processed foods, less meat, and more fruits, vegetables, grains and legumes. It’s about eating healthier in order to be healthier and instilling healthy habits in my children for their longevity; and it’s about prioritizing food that reflects my own commitment to nature. It’s about family, and it’s about community. Food has this unique power to bridge our differences and draw us together. That age old institution: “the Meal”─fosters community and love with whomever it is shared. In an age of electronics and social media, when it’s easy to allow social interaction in real life to slip in favor of the more passive interactions of Facebook and the internet, maintaining the concept of the family meal has become more important than ever before. Humans are, by nature, social creatures,─even those of us who are introverts need to know that we have a community of people who love us. Society functions better in general when people care about each other and are actively engaged within their communities. With this in mind, I invite you to join me in bringing back the tradition of real food with real people; let’s bring people back to a healthier life and let’s share those lives with our community.